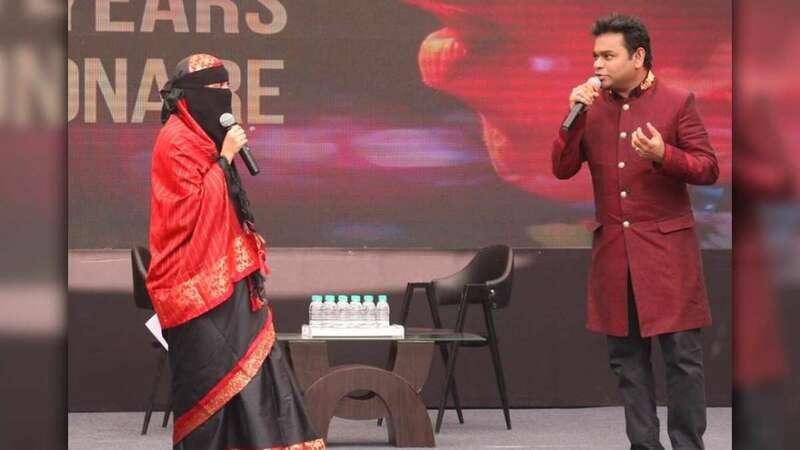 New Delhi : AR Rahman’s daughter, Khatija recently attended an event which was organized on the occasion of the 10-year celebrations of the music of ‘Slumdog Millionaire’. She wore a Hijab and it took all the attention as nitizens trolled her for the appearance and completely ignored what she had to say in regards to the event. Khatija later defended herself with a post on her Facebook page, she wrote, “The recent conversation of myself on stage with my dad has been doing the rounds. Although, I didn’t expect such an overwhelming response. However, there were certain comments which said that this attire is being forced by my dad and that he has double standards. I would like to say that the attire I wear or the choices I make in my life does not have anything to do with my parents. The veil has been my personal choice with complete acceptance and honour. I’m a sane mature adult who knows to make my choices in life. Any human being has a choice to wear or do what he/she wants and that’s what I’ve been doing. Hence, kindly don’t make your own judgements without understanding the exact situation. #freedomofchoice #Embracingmyidentity”. Mr. A.R. Rahman also shared his family photograph with caption, “The precious ladies of my family Khatija ,Raheema and Sairaa with NitaAmbaniji #freedomtochoose “. The Slumdog Millionaire team was also present at the event.